Who is the most frightening of them all? What’s scarier? The apparently normal man or woman who turns out to be a disturbed psychopath? An un-killable blood thirsty killing machine? How about seemingly harmless animals that start to attack out of the blue? A teen with telekinetic power or cute children who really are pure evil? How about a baby-to-be that was conceived by evil himself? A car that can kill? A videotape that causes your death you if you view it? An adorable doll that comes to life to murder people? A clown that should bring people happiness but instead brings fear? A human hungry for his fellow human’s flesh aka a cannibal? Sinister other worldly entities? The actually “living dead”? Maybe death itself? How about all of the above- they’re all scary! In the spirit of Halloween, DZI: The Voice serves up the scariest movies ever made. These are the films that will get your heart racing, make your eyes bulge out of their sockets, and cause you to lose some serious shut eye. You have been warned! “Because you were home,” is the apathetic answer a captor gives to Liv Tyler’s pleading question, “why are you doing this?” in the horrific scene right before her character is repeatedly stabbed alongside her boyfriend. Bryan Bertino wrote and directed this utterly terrifying horror that was inspired by the Manson “Family” murders. A couple staying at their secluded vacation home encounter a knock on the door early in the morning and when they answer, an odd looking girl whose face isn’t fully seen asks, “is Tamara home?” They tell her wrong house and before leaving she ominously says, “see you later”. The odd girl returns later with two of her friends, knocking wildly on the couple’s door, entering their home unsuspectingly, knocking them out, tying them up, and murdering them. The killers’ masks adds to the horror. The male killer wears a cloth flour sack mask, one female killer wears a Dollface mask, and the other a Pin-Up mask. Another intensely scary scene is right before the twisted trio stab the couple, they remove their masks revealing their faces, but brilliantly not to the audience. It’s as if the killers are saying, “we’re making you see our faces so we can’t back out and not kill you,” but cruelly knowing they were going to kill them anyway. For The Strangers being Bertino’s first film, he nailed what should make a horror movie unapologetically terrifying. The Stranger’s sequel is in the works. Unfortunately, Bertino won’t direct, but he will write the script, so it should be just as wonderfully scary as 2008’s. Laurent Briet is set to direct. Daniel Myrick and Eduardo Sanchez’s faux videotape spawned a new sub-genre in horror that currently is ridiculously popular- “found footage”. In Blair, three film students travel to Maryland searching for the truth behind the legend of the Blair Witch, a 18th century witch that supposedly possessed a child killer and made him murder children during the 1940’s. 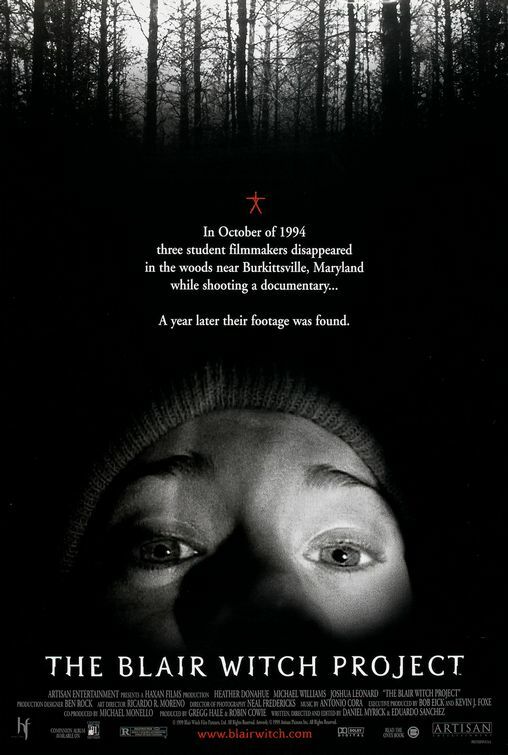 What makes The Blair Witch Project so scary is if you don’t know it’s fake (which was the case for most moviegoers who flocked to see it in 1999) the grainy, shaky hand-held shot footage gives viewers the feeling they’re right there with the film students in the mostly wooded atmosphere. With all the mysterious happenings (spooky noises at night, eerie human-like figures made out of twigs left at their campsite) the footage looks to be totally real. If not for Blair, the popular Paranormal Activity franchise probably wouldn’t exist. There was a sequel, Book of Shadows: Blair Witch 2, a year later that wasn’t a found-footage film. Part 2 is as scary as the first even though you know it’s not based on any true events. A Blair Witch 3 rumor has been circulating since 2001, and most recently in 2009 there was talk about a possible remake. Misery‘s Annie is the female version of Psycho’s Norman Bates, and the exceptional Kathy Bates is just terrifying as nurse Annie Wilkes. Her hobbling of Paul Sheldon’s (James Caan) ankles with a sledgehammer is bloodcurdling! She somehow makes the viewer feel Paul’s unbearable pain. What’s really scary is knowing that Paul probably will now never escape from his “number one fan”. The injured author is being held hostage in Annie’s home and she orders him to bring back the character Misery he offed in his book series. 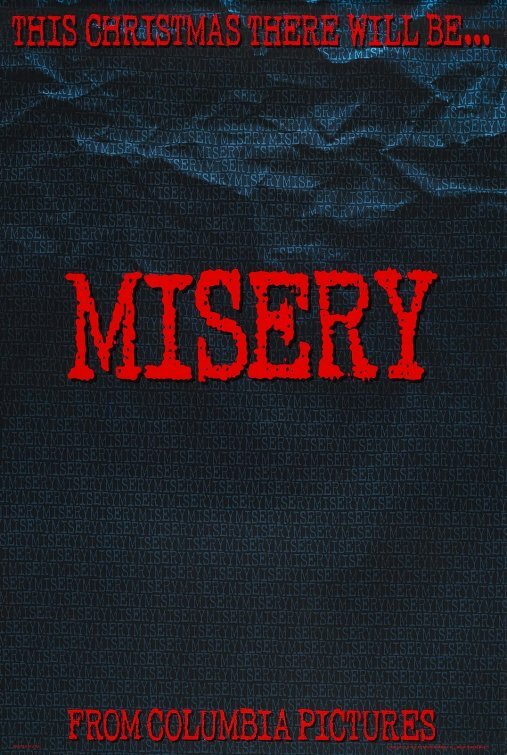 Misery is based upon the “king of horror” Stephen King’s book of the same name. Unsurprisingly, an American remake or sequel has yet to be made. A prequel would be great- seeing a younger Annie in action and finding out what made her so insane. In 1990, a South Indian remake was made called Julie Ganapathy. Freddy Krueger talks, Jason Voorhees has that weird noise theme, Leatherface grunts, but Michael Myers is absolutely silent and that makes him ten times scarier than his fellow serial-killer-horror-movie icons. 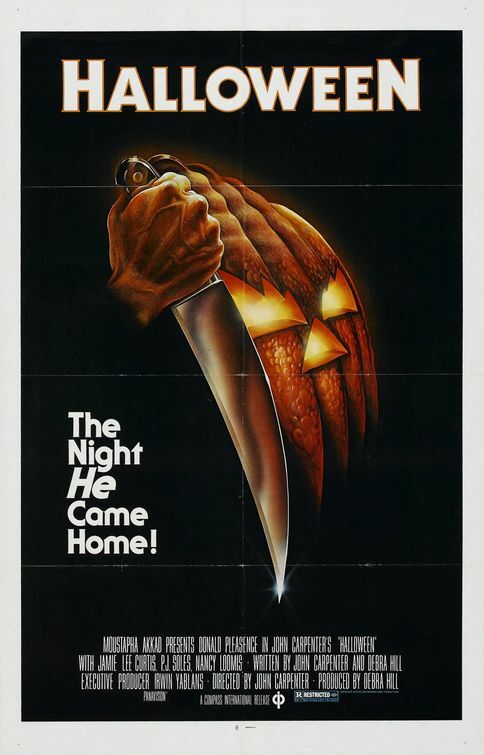 Created by notorious horror director John Carpenter, Michael Myers (aka the boy) murdered his sister on Halloween and 15 years later returns home to stalk his other sibling Laurie Strode (Jamie Lee Curtis). Myers is just as frightening in the looks department with his dirty car mechanic-esque uniform, egg white mask with attached hair, and of course the huge knife that never leaves his hand. Halloween is so scary of course because of such a great killer, but the prevalent darkness of the film is also daunting because you know somewhere in the shadows Michael Myers lurks waiting for his next victim. Carpenter’s Halloween pretty much started the “slasher” horror franchise, and like Michael Myers’ counterparts Freddy, Jason, and Leatherface, Myers stands as one of the most frightening characters in the genre. Halloween has had 7 installments, and in 2007 was remade by one of the leading horror directors at the moment- Rob Zombie- which also had a Zombie led sequel in 2009 (Halloween II). A Halloween 3D is supposedly in the works. The anti-Christ came to theatres in the form of a cute little boy named Damien Thorn in Richard Donner’s The Omen. 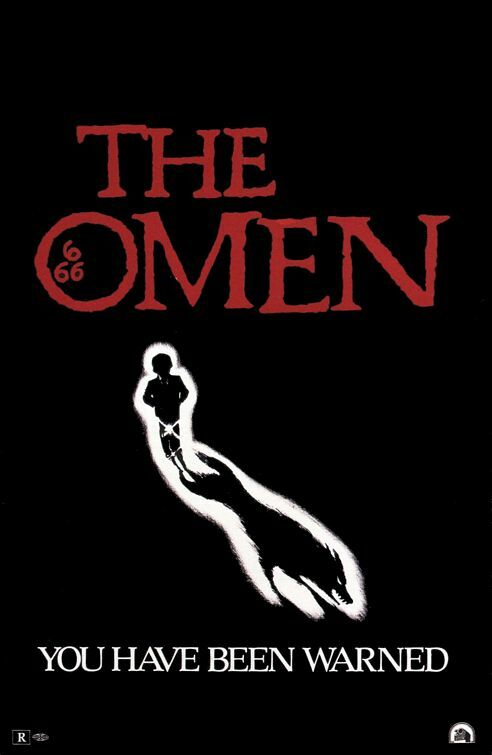 The film was released in the U.K. on 6/6/76 playing on the three 6’s mark that makes Damien indeed the anti-Christ. Damien (Harvey Spencer Stephens) may be adorable on first sight, but as the horrifying omens are revealed to his parents (the late, wonderful Gregory Peck and Lee Remick) and in turn to the viewer, Damien is exposed as pure evil. The last shot of The Omen is maybe the most frightening moment. Damien is at his father’s funeral, who he caused the death of, and as he turns to the camera in a close-up shot of his face, he smiles impishly. The music in The Omen (scored by Jerry Goldsmith) works so perfectly to evoke scares. Damien’s theme “Ave Satani” is scary alone- thunderous and filled with creepy chanting. A decently scary remake was made in 2006 starring miscast Liev Schreiber and Julia Stiles as the Thorns, but Seamus Davey-Fitzpatrick as Damien has an uncanny resemblance to the original little devil. Mia Farrow’s performance as Damien’s protector Mrs. Baylock was equally chilling to her predecessor (Billie Whitelaw). The remake was released on 6/6/06 playing again on Damien’s 666 birthmark. Perhaps a reboot in 6/6/2066? Little-girl-turned-demon Regan MacNeil’s (Linda Blair) head spinning is all you need to see to be scared silly. In The Exorcist a priest, Father Lankester Merrin (played by Max von Sydow), is summoned to the home of Regan to perform an exorcism on her. Seeing a young girl turn into a monster and speak as the Devil is frightening. 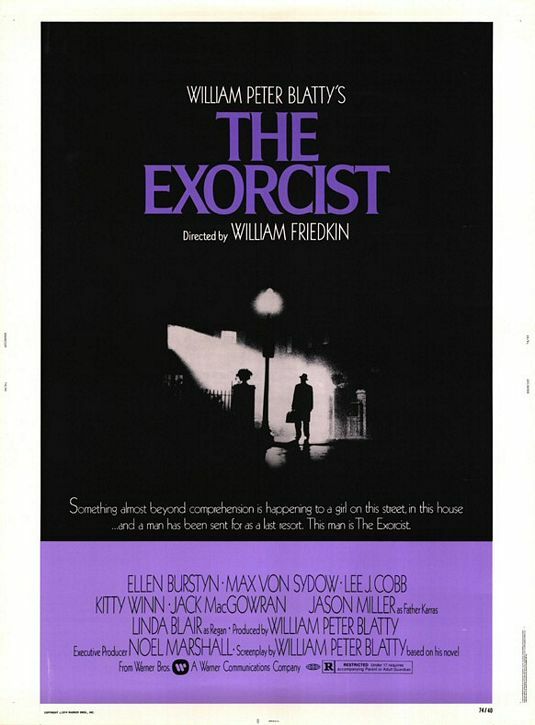 A subtle scary moment is the classic scene depicted on The Exorcist’s movie poster. The priest’s arrival at Regan’s home drenched in a glow from the darkness is forbidding because the viewer knows that the terror will really begin once the priest enters that house. Many children demonic possession movies are rampant today thanks to The Exorcist. A sequel, The Exorcist II: The Heretic, was released in 1977, and another, The Exorcist III, in 1990. The most recent were two prequels from the franchise: 2004’s Exorcist: The Beginning, and then in 2005 Dominion: Prequel to the Exorcist. The shower scene says it all. Also, it simply being an Alfred Hitchcock film. No one can deliver the scares like the legendary master of horror Hitchcock. Black & white and minimal blood, yet it seems like Psycho runs red with it. 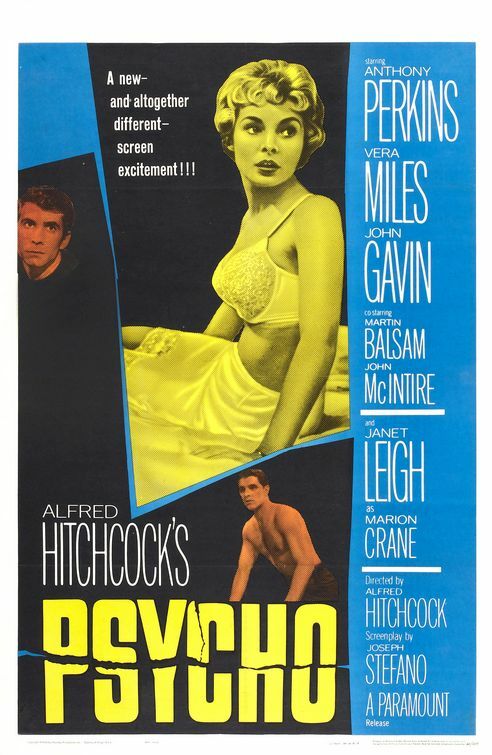 This film coined the term “psycho” to describe someone dangerously off their rocker, and is highly regarded as the very first “slasher” film. 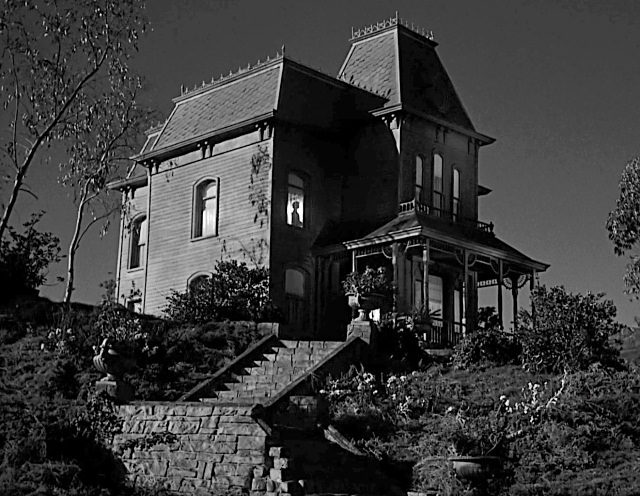 What makes Oedipal complex prince Norman Bates (a subtly, unsettlingly, and brilliant Anthony Perkins) so terrifying is on first glance he looks well put together and welcoming, but he turns out to be the complete opposite once he shockingly turns into “Mother”. Hitchcock brilliantly doesn’t reveal that Norman is dressing up as his mother right away, and that he in fact is the one who kills room renter Marion Crane (the late Janet Leigh who is said to have been scarred for her life after the infamous shower scene). Small mysterious doses of “Mother” make the viewer wonder if she’s real or not, because she’s never fully shown. For example, the scene where “Mother” is supposedly sitting in the window of the Bates house (a threatening character in itself), but turns out to be her dead corpse. “Mother’s” physical presence not being in Psycho, but that it is actually Norman becoming his deceased mother to kill is what makes Psycho so creepy. But then in the great reveal when “Mother” finally is shown- as a preserved mummy- talk about disturbing! There have been three Psycho sequels and a laughable 1998 remake (Vince Vaughn as Norman Bates?!) even though it was coolly filmed shot-for-shot as the original. If an alien entity coming to our world to replace humans by duplicating us with their DNA isn’t scary, what is? San Francisco becomes the city extraterrestrials set their sights on in this remake of 1956’s IOTBS. These distant life forms inhabit earthlings to erase you through your sleep which causes people to proclaim that their loved ones have “changed” and aren’t really their loved ones anymore. The most raise-the-hair-on-your-arm scene is seeing the new you be born fully adult from a giant slimy pod. The pod people born are frightening because they look like someone you know, but they’re not them at all. They’re just blank and emotionless. They turn super scary if they detect someone isn’t a pod person. Their eyes open wide, they point in the direction of the human, and let out an ear covering shriek. There have been two remakes since 1978’s IOTBS. 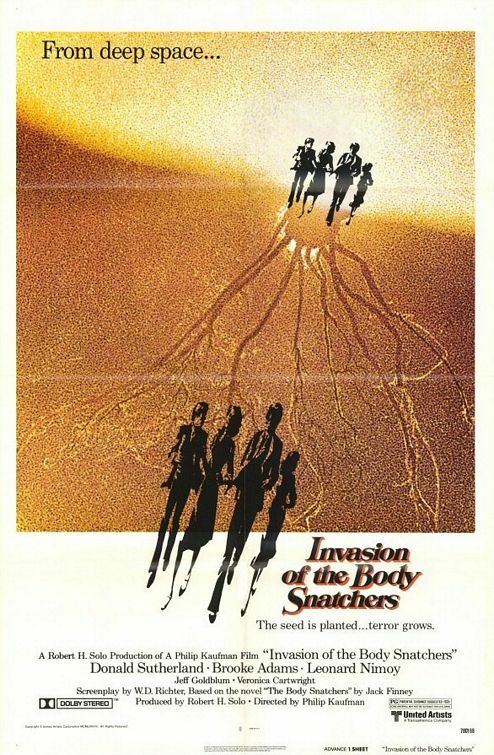 Body Snatchers in 1993 and The Invasion in 2007 both of which are creepy but can’t out scare 78’s. Is any noise more terrifying coming from this man armed with this weapon?! Tobe Hooper’s Leatherface- one of the most iconic killers in movie history who was inspired by the serial killer Ed Gein- is outright scary! Leatherface’s murderous family that sinks him on the innocent is equally horrifying. Leatherface is human but just like a monster, he has no humanity whatsoever on victims. Unless you’re a part of his family, his goal is to capture you, chainsaw you up, and skin your face off to possibly wear it as his own. Out of the infamous horror movie villains: Freddy Krueger, Jason Voorhees, & Michael Myers, Leatherface’s legacy will most likely live on the longest because his origin is partly based on a real life monster. 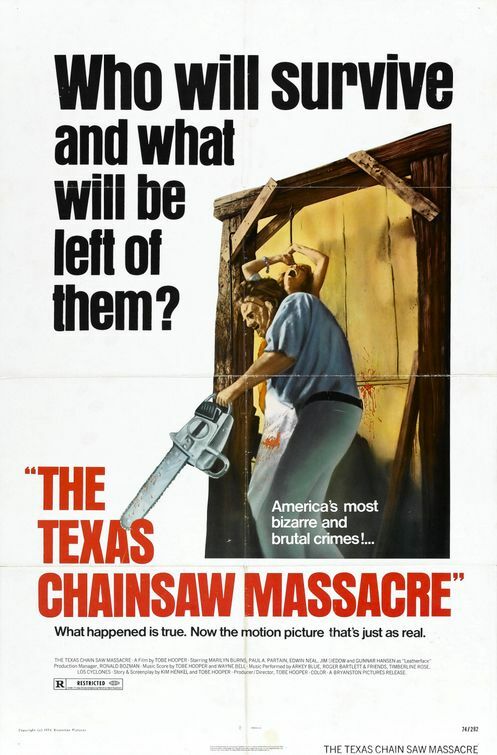 Three sequels have been made to 1974’s Chainsaw so far, one remake in 2003 and one prequel, 2006’s The Texas Chainsaw Massacre: The Beginning (both of which are exceptionally good). Upcoming in 2013, a direct sequel to 74’s will be release: Texas Chainsaw 3D. Leatherface and his chainsaw in 3D! Now that will be insanely scary! Is there anything funny about this conversation? Paul (played by Michael Pitt): Okay, we bet- what time is it? Peter (played by Brady Corbet): 8:40. Paul: [talking to the family of three] That in, let’s say, 12 hours all three of you are gonna be kaput. Okay? You bet that you’ll be alive tomorrow at 9 o’clock, and we bet that you’ll be dead. Okay? Peter: They don’t want to bet. Paul: Well it’s not an option. There has to be a bet. [turns toward camera, breaks fourth wall, addresses audience] I mean, what do you think? You think they stand a chance? Well, you’re on their side, aren’t you? Who are you betting on, hmm? Peter: But, wait, what kind of bet is this? If they’re dead, they can’t live up to their side. If they win, they can’t live either. Paul: Yes, they’ll lose either way. That’s what I’m saying. Didn’t think so. But to the two killers it is. And that’s why Funny Games is utterly terrifying. In Michael Haneke’s shot-for-shot remake of his original Austrian version, two seemingly polite young men in pristine white golfing outfits go around affluent neighborhoods befriending families and once let inside a home play the above “game” with them. Paul and Peter are without a doubt two of the sickest, most cold-bloodied, chilling characters (and they are so calm about what they’re doing which is especially terrorizing) seen on film. And for them to drag the viewer into their insanity by speaking to and looking directly at us is exceedingly frightening. It makes you think that what you’re watching is real and that you’re being a willing witness to their murder spree, thus making you just as sick as them- unless you turn them off. The ending is bleak and horrific, and you dreadfully realize Paul and Peter are like the energizer bunny. They just keep killing. Funny Games will without a doubt make you think twice before letting strangers into your home. No matter how nice they seem. F.W. Murnau’s adaptation of the celebrated novel Dracula by Bram Stoker is often dubbed the “first vampire movie”. 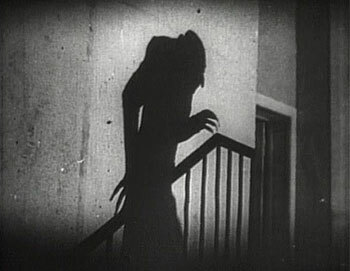 The iconic scene of Count Orlok’s (Max Schreck) shadow creeping up a staircase started the fear of long claws way before Freddy. Tom Savini’s remake of George A. Romero’s 1968 classic zombie film is even more petrifying in color as all the blood drips and guts are ripped out of the living by the walking dead. While trapped in a house during a zombie apocalypse a group of strangers must try to stay alive and avoid being eaten and brought back to “life”. John Carpenter’s sci-fi horror The Thing is downright chilling. Actually a remake of the 1951 The Thing from Another World, this alien movie masterpiece is the tale of a stranded group of Antarctic scientists who face a “thing”- an extraterrestrial entity that imitates living things.